A British PhD student has been sentenced to life in prison in the United Arab Emirates on completely trumped up espionage charges, says his university supervisor. A British PhD student has been sentenced to life in prison in the United Arab Emirates on completely trumped up espionage charges, says his supervising professor. 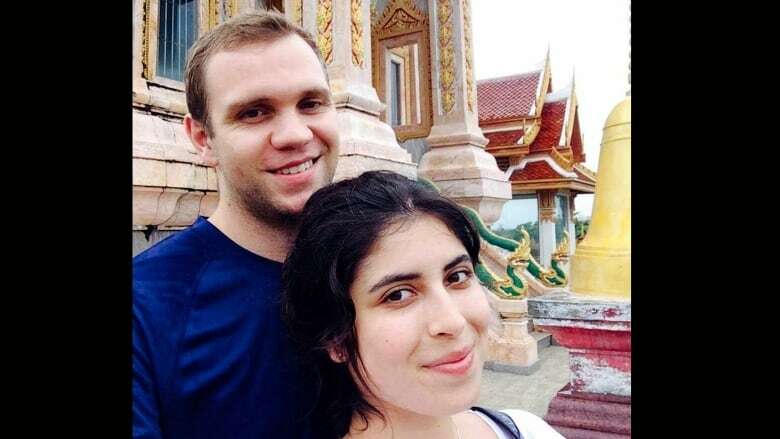 Matthew Hedges, 31, was arrested May 5 at the Dubai Airport after a research trip to the U.A.E. He received the sentence Wednesday after a five-minute court hearing. 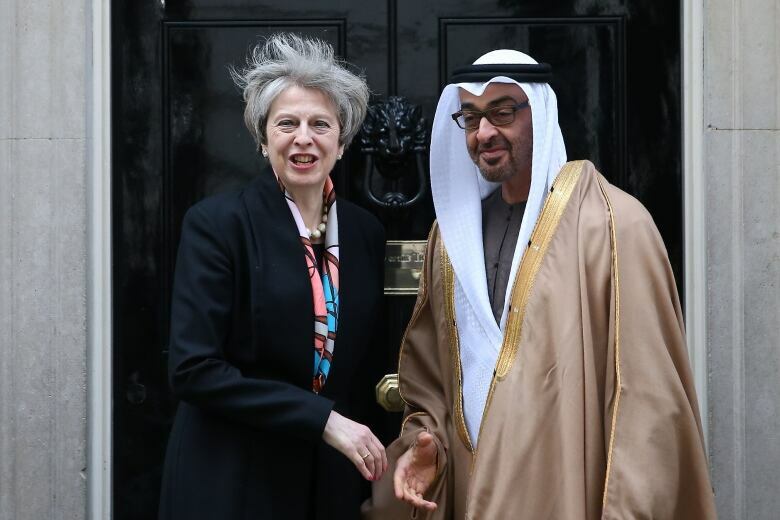 The news has caused a political firestorm in Britain, which has close diplomatic and trade ties to the U.A.E. dating back 200 years. "The only just course of action is for Matt to be immediately released," Clive Jones, Hedges' supervisor at Durham University, told As It Happens host Carol Off. "The Emirates have passed sentence on a totally innocent man." Hedges' wife Daniela Tejada has been his most vocal champion. In an interview with the BBC on Thursday morning, she lambasted the government for not doing enough to secure her husband's freedom. 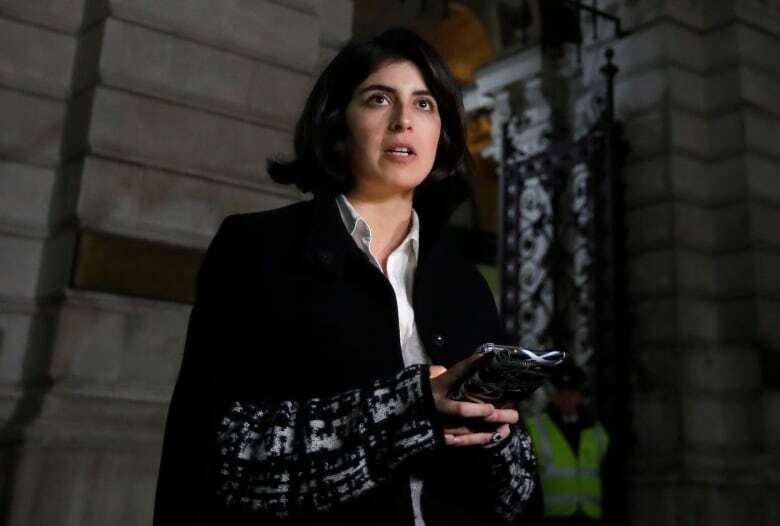 She softened her criticism later in the afternoon after meeting with British Foreign Secretary Jeremy Hunt, who she says assured her the government is now working to get him out of jail. "He has assured me that he and his team are doing everything in their power to get Matt free and return him home to me," Tejada told reporters. "This is not a fight I can win alone and I thank the Foreign Office and the British public for now standing up for one of their citizens." In a statement, the U.A.E. said both sides are working on "an amicable solution" in the case. 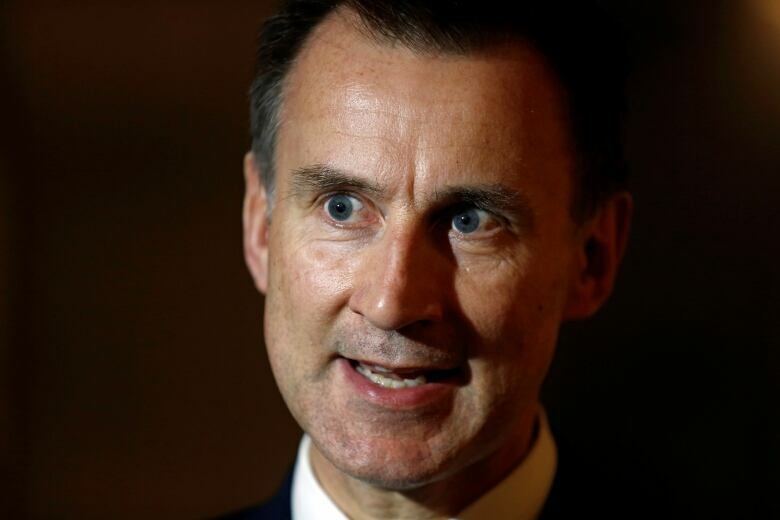 On Wednesday, Hunt issued a statement saying he had discussed the case with Abu Dhabi Crown Prince Mohammed bin Zayed during a visit to the country last week and the verdict "runs contrary to earlier assurances." Hunt said he was "deeply shocked" by the verdict, which "is not what we expect from a friend and trusted partner of the United Kingdom." Hedges, whose parents are U.A.E. ex-pats, has built his academic career studying Middle East security, says Jones, a professor at Durham's School of Government and International Affairs. Jones says Hedges was in the U.A.E. to conduct interviews about civil-military relations after the Arab Spring, and that everyone he spoke to had agreed to participate and were given the questions in advance. "It wasn't as though he just sort of turned up and doorstepped them," Jones said. "So this idea that somehow Matt had gone out there almost on a whim, that he was snooping around asking particularly sort of inquisitive/sensitive questions, that is not the case." U.A.E. Attorney General Hamad Saif Al Shamsi told the BBC the student "confessed in detail to his crimes" and was "accorded full rights" with a "fair and transparent trial." The country's Ministry of Foreign Affairs said "powerful evidence" of spying was found on his personal electronic devices. Jones says he doesn't buy it. "I don't see how a trial can be actually fair when it's ultimately a five-minute hearing and Matt's lawyer was not in attendance," he said. He says any confession extracted under harsh conditions should be taken with a grain of salt. Jones says Hedges has experienced panic attacks, severe anxiety and fits of vomiting — and at times has not received adequate medical treatment. Hedges spent at least the first six weeks of his imprisonment in solitary confinement with almost no contact with the outside world, he says. "After six weeks of those conditions with very limited contact, I think most people would confess to being anything," he said. "I mean, I'd probably in those conditions confess to being the Pope." Andreas Krieg, a military and security expert at King's College London, said the U.A.E. sees any information that isn't state-controlled a threat to the regime. The sentence was meant to send a message to journalists, rights advocates and academics to take the government line or face the consequences, Krieg said. "They see civil society as a threat to security," he told the Associated Press, adding that the idea runs contrary to the well-oiled publicity machine that sells the U.A.E. as an attractive investment and tourist attraction. "This is going to be a stain for years and years unless they release him." As she read a prepared statement outside the Foreign Office, Tejada recalled the shock on her husband's face as the verdict was read on Wednesday. "Seeing him shaking in court after being handed a life sentence and then being made to leave was beyond heartbreaking," she said. "We didn't even get to say goodbye." Written by Sheena Goodyear with files from Associated Press. Interview with Clive Jones produced by Katie Geleff.